Every year I make a ton of treats to send off to my Dad's office in San Antonio. 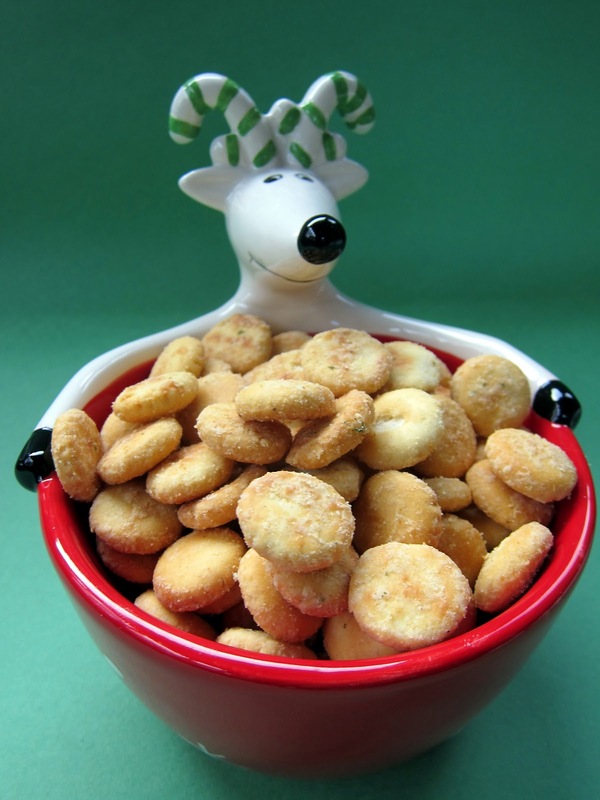 These cheddar oyster crackers are a new addition to the treat box this year. I used some Vermont Cheese Powder from King Arthur Flour. You could also use cheddar cheese popcorn topping or even the cheese powder from a box of mac & cheese. I sampled a few crackers when they came out of the oven and they were really good!! They would be great to snack on or to top a big bowl of chili. Place crackers in a gallon-size ziplock bag. Pour oil over crackers; seal bag and toss to coat. Add cheddar powder and garlic powder; seal bag and toss again until coated. Bake on ungreased baking sheet for 15 to 20 minutes or until golden brown. These are delicious! 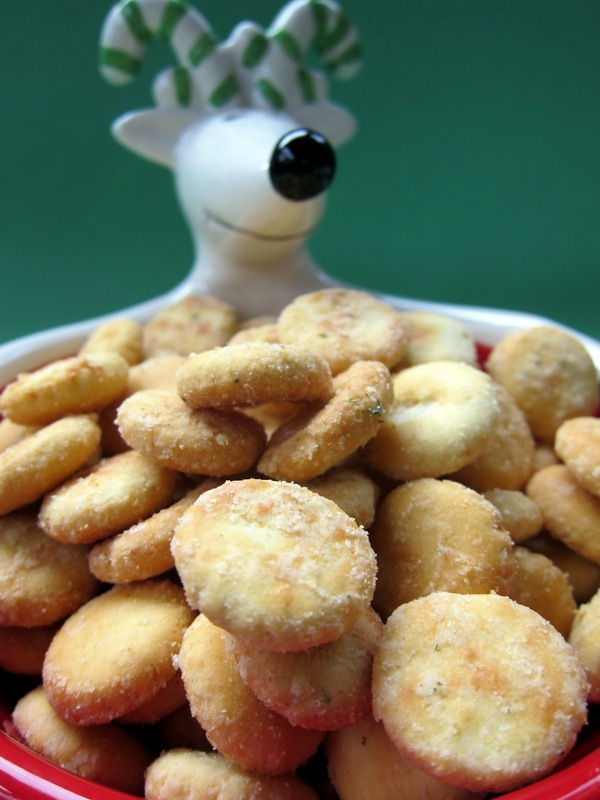 I like to make them with dry ranch dressing mix, too! Fabulous!! Oooh these sound yummy! I haven't made the ranch version either, but I hear those are equally awesome. Bookmarking! Love these things and Trevor adores them even more. Yumm sounds good, plus easy! Thank you!! where can i get the cheese powder? these sound yummy!! nuts.com is the cheapest and a great company!